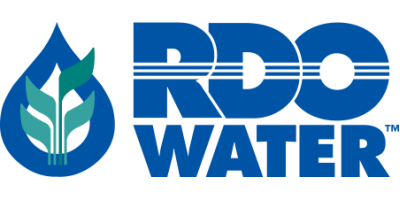 RDO Water - a division of RDO Equipment Co.
RDO Water, irrigation systems and solutions is the core of what we do. Our team specializes in irrigation system design, and understands how your unique terrain, crops, and business determine the right system for you. By pairing our knowledge with a passion for agriculture, we do more for growers like you. When it comes to agriculture and construction equipment, parts, and service, RDO Equipment Co. offers everything your business needs. More than your local John Deere dealer, RDO Equipment Co. combines expertise with a drive to do more for the companies we work with. Today the company owns and operates more than 75 dealerships in 10 states, focused on agriculture, construction, environmental, tree care, underground, and machine control, RDO Water, and sells quality brands such as John Deere, Vermeer, and Topcon. In addition, the company currently operates in several international partnerships, including multiple locations in Russia, Ukraine, and Australia. Our story is one rooted in an unwavering commitment to the people who work for our company, who in turn have a sincere focus on providing customers with superior solutions that help their businesses get the job done. Fourth-generation potato farmer Ron Offutt worked in the fields alongside his father throughout his school years and post-college until 1968 when the opportunity to expand the family enterprise led to the purchase of a John Deere dealership in Casselton, North Dakota. Offutt leveraged the assets he had by selling 160 acres of farmland and a potato warehouse, and taking a loan from his grandmother. Given Offutt’s natural business style, along with his understanding of what customers needed to succeed, the store soon prospered. Customers in the area came to know Offutt’s store as a trusted industry resource and a place where they would receive individualized care and respect — characteristics still ingrained in the company’s business practices today. With the knowledge gained from launching the initial store, RDO Equipment Co. grew to become a provider of state-of-the-art products and support for the agriculture and construction industries. 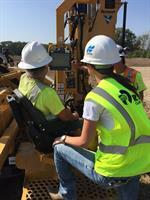 RDO Equipment Co. remains a family owned and operated business with the next generation fulfilling executive leadership roles. Ron’s daughter Christi Offutt has served as the company’s COO and CEO since 2001. She joined the organization in 1997 as Legal Counsel and served in many capacities including Vice President of Strategic Planning and Senior Vice President of Midwest Agriculture. Christi works out the Fargo office, but spends the majority of her time in the field at one of the organization’s stores across nine states. In 2014, Christi was named Chair of the Board of Directors. Ron’s son Ryan Offutt serves as Executive Vice President in charge of the company’s international operations in Russia, Ukraine, and Australia. He joined the organization in 2003 as Director of Human Resources and Communications and in 2006 he took on responsibilities related to the company’s international expansion in Russia and was named Vice President International Business.